OvO presents new album Creatura – the band's ninth full-length album since 2000. Based in Ravenna, Italy, OvO is the duo of Stefania Pedretti and Bruno Dorella. Counting Swans and Diamanda Galas as their biggest influences, Pedretti and Dorella create raw anthems out of primitive industrial sounds and Pedretti's theatrically demonic vocals. Dorella pounds out minimal cadences on a mix of acoustic and electronic percussion, as Pedretti casts spells in her own arcane language –"there are no lyrics," she explains. A combination of guitars and synths sets a driving, end-of-the-world tone. The vibe is utterly dark but fun as well, as evidenced by the new video for Creatura's opening track, "Satanam" – the clip, directed by Natalia Saurin, brings to mind an occult version of Die Antwoord. Dorella describes it as "the discovery of a secret, a revelation that involves the freaky inhabitants of a caravan. Invocations and rituals bring OvO to them. In this story, OvO are the tree of life and death, an underground door to other dimensions." Two of OvO's previous albums were released via Providence label Load Records – the OvO sound is right at home amidst the Load camp of freak-rockers like Lightning Bolt and Arab on Radar, and noise king Prurient. 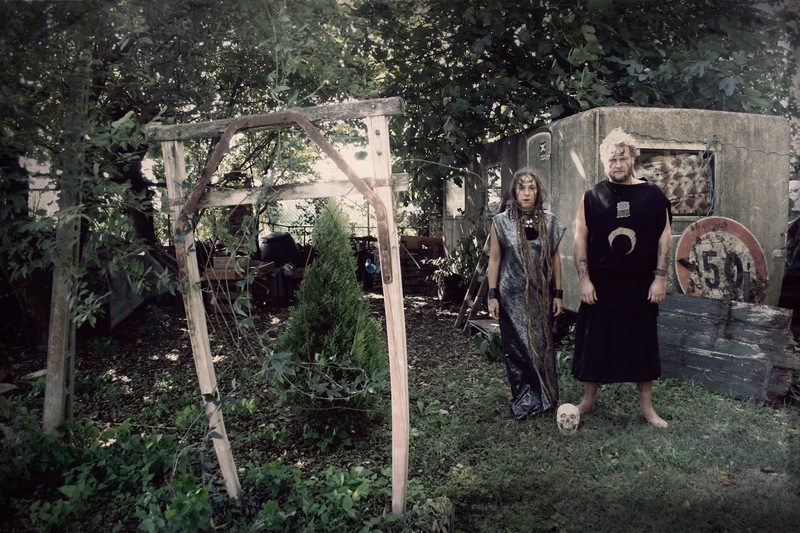 Other kindred spirits include Thrones, Gnaw, and Nadja, all of whom OvO has toured with over the years, adding up to a total of almost 1,000 shows played so far, across Europe, Asia, and North America. Creatura will be released December 9th on Italian label Dio Drone. The album was recorded by Lorenzo Stecconi (Zu, Ufomammut) at a theater company's warehouse in Ravenna, Italy; it was mixed by Giulio Favero, and mastered by Giovanni Versari (Muse). OvO will be touring throughout 2017. BODY STUFF - "World of Men"
BODY STUFF - "Cabin Song"